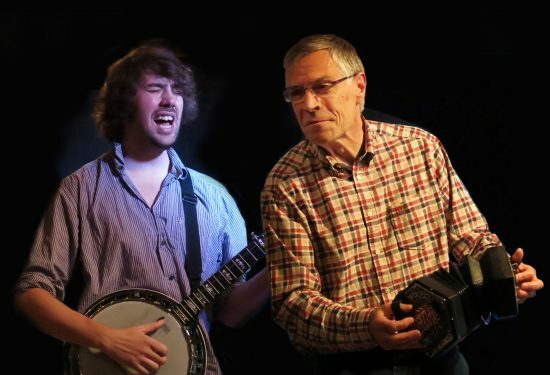 Dan Walsh and Alistair Anderson have just completed a Highlights rural tour taking in Northumberland, Cumbria and Co. Durham and the audience reaction has been very enthusiastic. Most shows sold out. Excited. Thrilled. Happy, invigorated. They are utterly brilliant and uplifting. Stunning evening. Part of the community connected to such quality music – great! Happy and energised listening to live unamplified music is great..
Elated. I am delighted to hear such wonderful exponents of our local musical culture. It makes our cultural community stronger. Happy to be here. Everyone looks happy.